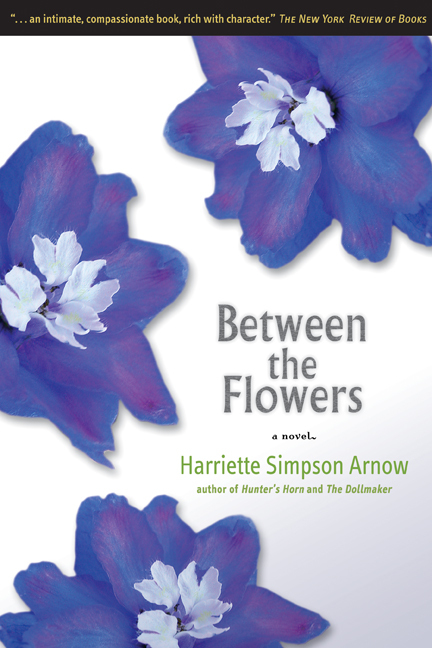 Between the Flowers is Harriette Simpson Arnow's second novel. Written in the late 1930s, but unpublished until 1997, this early work shows the development of social and cultural themes that would continue in Arnow's later work: the appeal of wandering and of modern life, the countervailing desire to stay within a traditional community, and the difficulties of communication between men and women in such a community. Between the Flowers goes far beyond categories of "local color," literary regionalism, or the agrarian novel, to the heart of human relationships in a modernized world. Arnow, who went on to write Hunter's Horn (1949) and The Dollmaker (1952)—her two most famous works—has continually been overlooked by critics as a regional writer. Ironically, it is her stinging realism that is seen as evidence of her realism, evidence that she is of the Cumberland—an area somehow more "regional" than others. Beginning with an edition of critical essays on her work in 1991 and a complete original edition of Hunter's Horn in 1997, the Michigan State University Press is pleased to continue its effort to make available the timeless insight of Arnow's work with the posthumous publication of Between the Flowers.